I SAID: Sure. Just send some companion fabrics. See those samples in the first picture? About 1/8 yard each (maybe)! That meant that I had to make sure my cuts were intentional. No mistakes allowed. But I love a challenge! Now, WHAT DID THEY SAY? WOW!! I am amazed! I thought for sure you couldn't do anything that would look good with all those fabrics together, and boy have you proved me wrong! I had to laugh! It's like that cereal commercial where 3 little kids are sitting at the breakfast table with a bowl of new stuff and two of them argue back and forth as to which one should take the first taste. "Let Mickey eat it!" and they push the bowl over to Mickey who takes the plunge. I chose NOT TO USE those New Colonies solids and opted for a creamy white instead. Simple is the way to go. 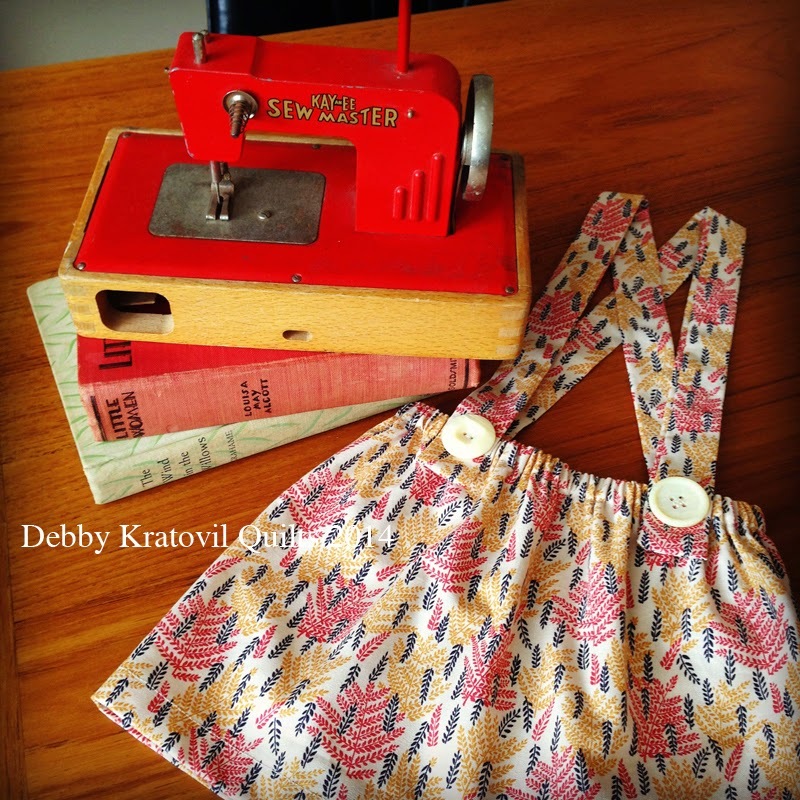 I've been sewing for Windham Fabrics for about 8 years. Sometimes I create flops, but as long as they don't tell me WHAT to sew but just to put the fabrics together, I'm really able to let the fabrics dictate what they want to become. 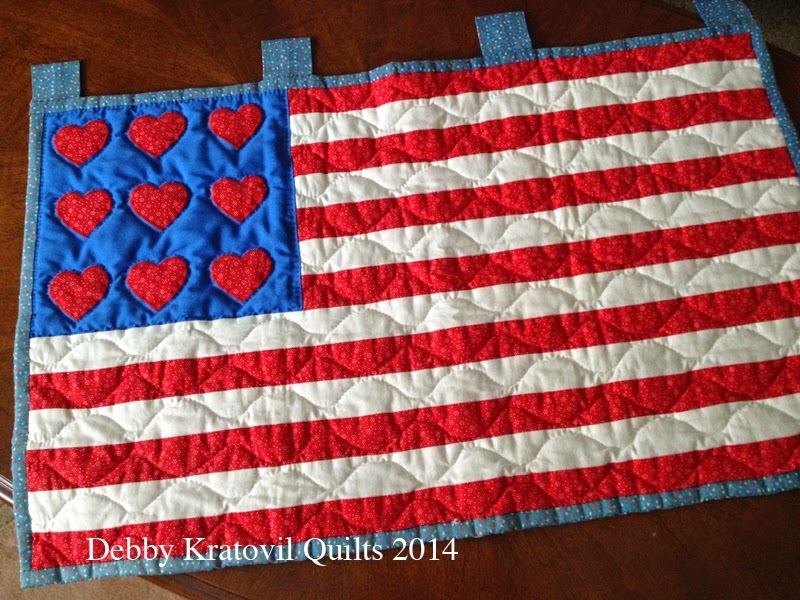 The little quilt is in their New Jersey office ready to be shipped off to Fall Market to display in their booth. I'm offering no pattern here (yes, this is patterned - no loosey - goosey, free-wheeling cutting here) because I'm hoping a magazine will pick it up for publication. That's how I make my living, so I'm just showing it as eye candy. 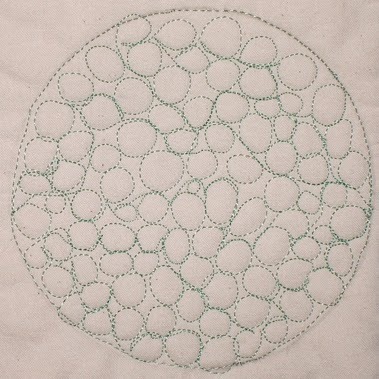 But here is a free pattern made with the New Colonies Solids (I posted this before, but it's worth repeating). 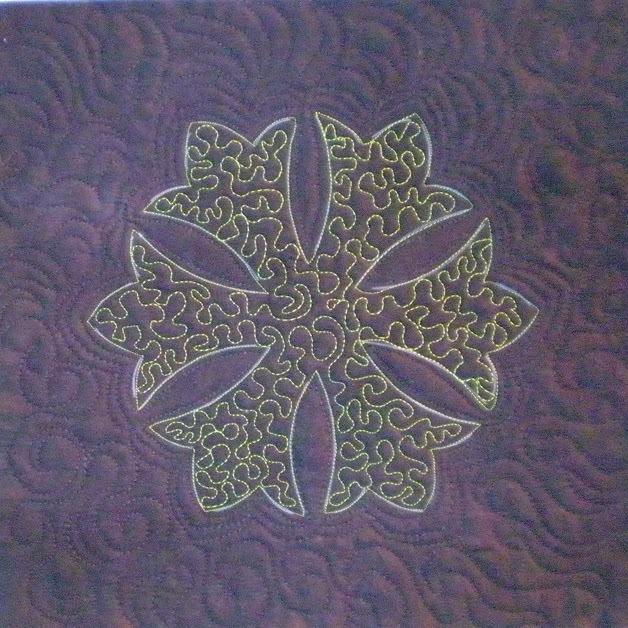 I had such a happy time making and quilting this. Hope you enjoyed seeing it! Yes, I'll be teaching two more classes of this popular technique. It only looks hard. There are no y-seams and the blocks are large. 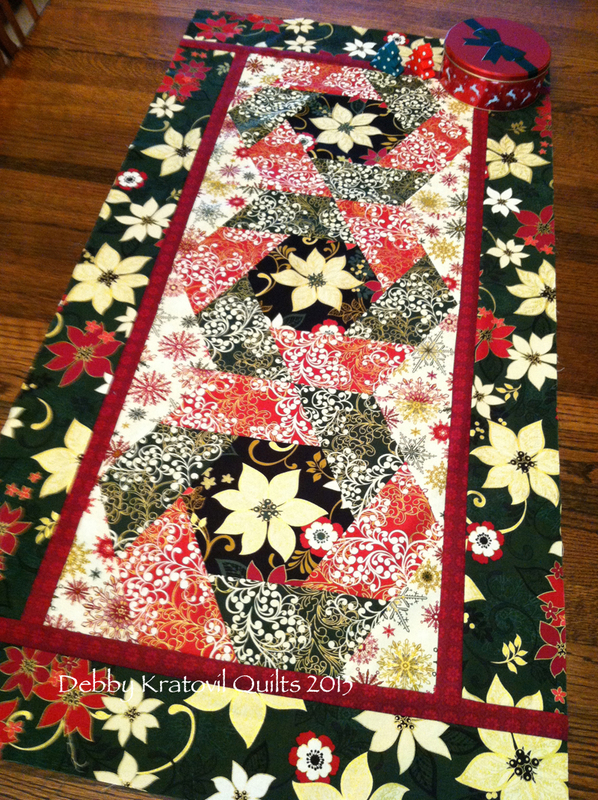 The table runner uses 12" blocks. 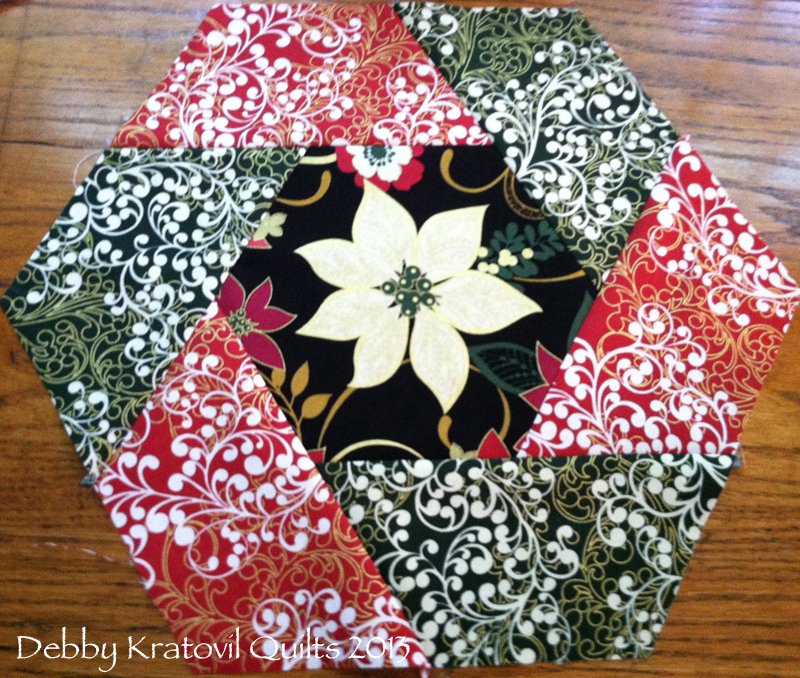 The Table Topper uses 10" blocks (6 of them) and a large, interfaced center hexagon appliqued on last. This fun wreath is a stencil . . .
What a FAT CAT! Of course! That's his name. 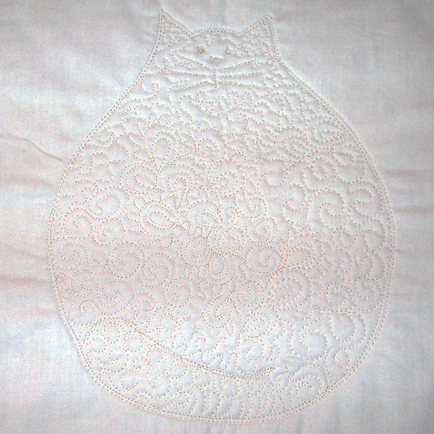 My own pattern that we trace the simple outline shape onto freezer paper, iron onto fabric, stitch around freezer paper, peel off freezer paper and then fill inside this very fat cat! This is Dresden Plate blades on steroids! Easy and quick and dynamic. You can read more about the techniques taught, the supply lists, the class prep, etc at the Sewing Expo site - click the links for the projects above. Hope to see you there. Round and round . . .
All the kiddies are back in school, including my dear youngest daughter Valery (last year of college). 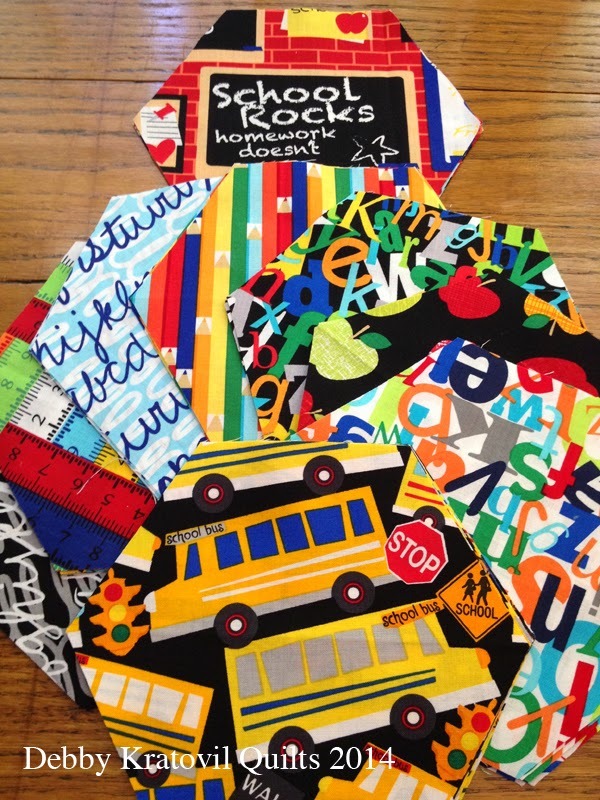 Would you like to see what fun things I did with the Head of the Class Collection by Benartex Fabrics? I cut hexagons, but how did I do it? 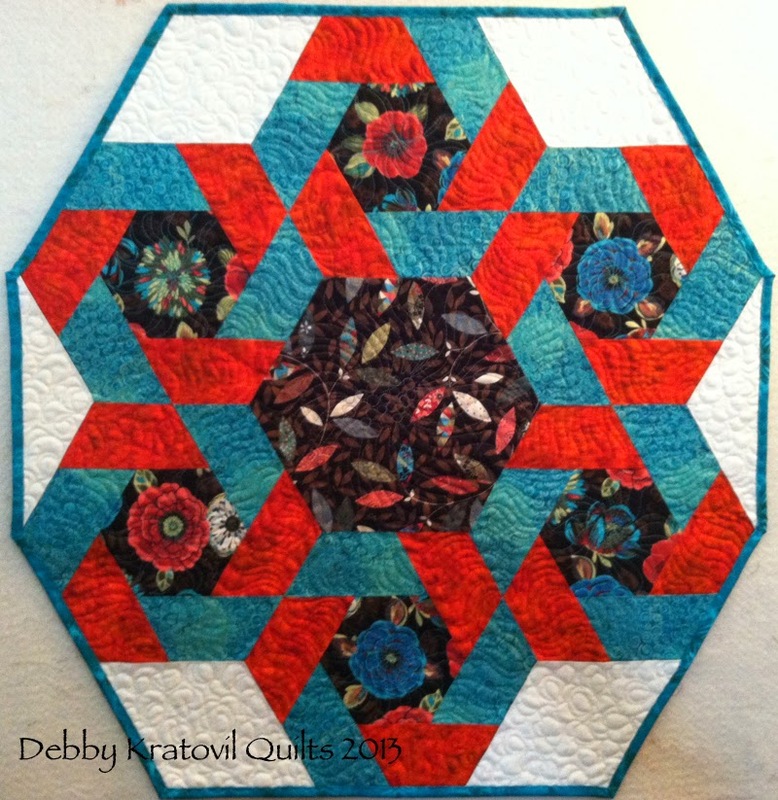 Visit the Sew in Love with Fabric blog (Benartex) to see a detailed tutorial on cutting hexagons with a simple ruler. And let me know if this was NEW to you. And how much you love your 60˚ ruler now! BUZZ SAW is a variation of a Dresden Plate, but on steroids! It only looks complicated. You cut the 20 wedges from a multi-sized 12-1/2" dresden ruler (included in your kit), slice a bit of the top off and replace with a white triangle. Very easy applique to the background square. Fun and easy (did I already say that?) 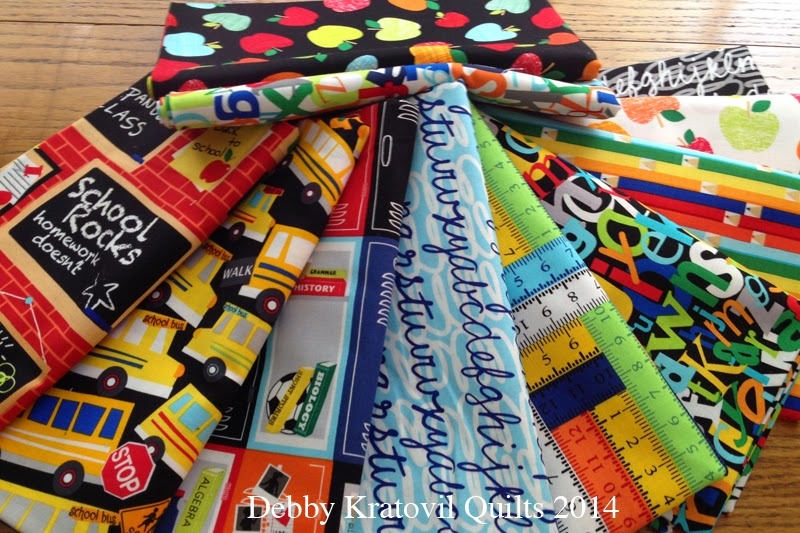 Click the link to see class info at the Sewing Expo site. 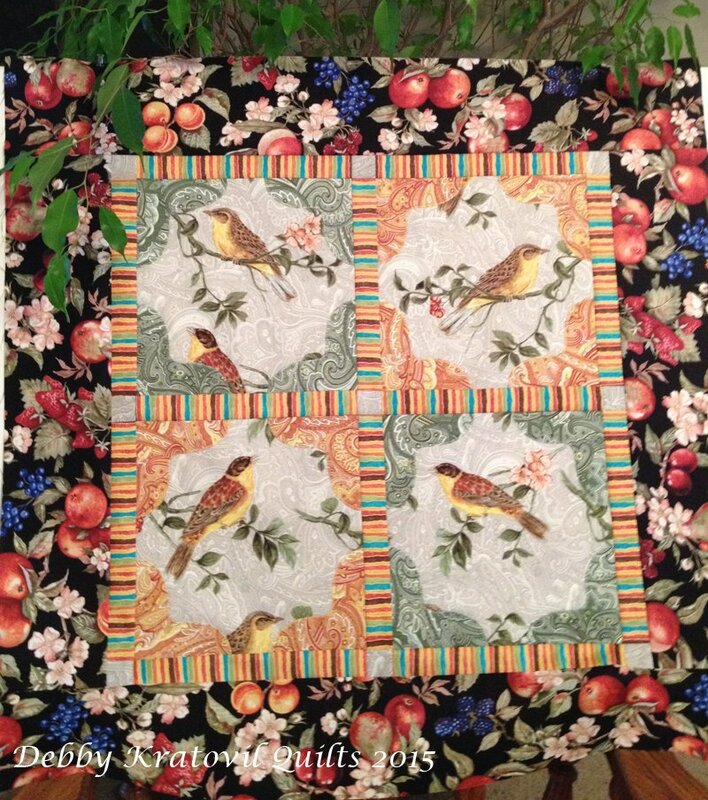 Besides classes, there are several awesome quilt exhibits. My favorite? 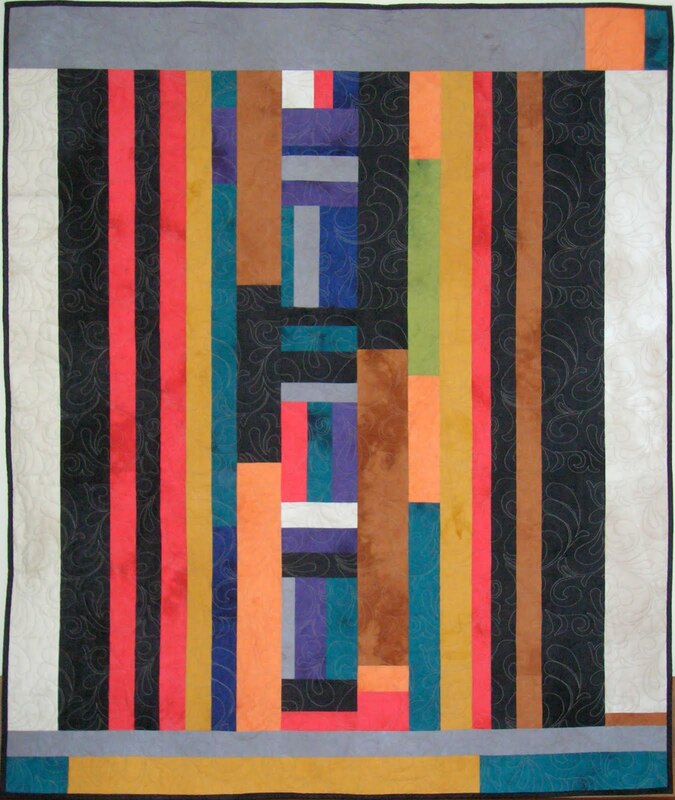 Quilt as Desired, curated by Mary Kerr. 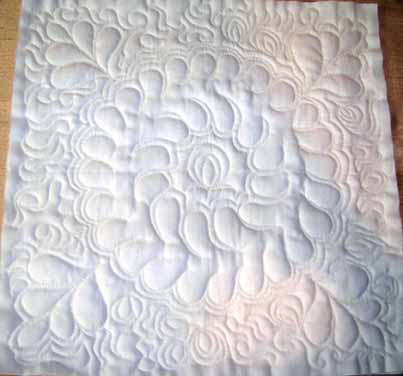 You just can't imagine what happened to these humble antique quilt tops which Mary bought for no more than $50 each and then handed them off to longarm quilters to - you guessed it - QUILT AS DESIRED! 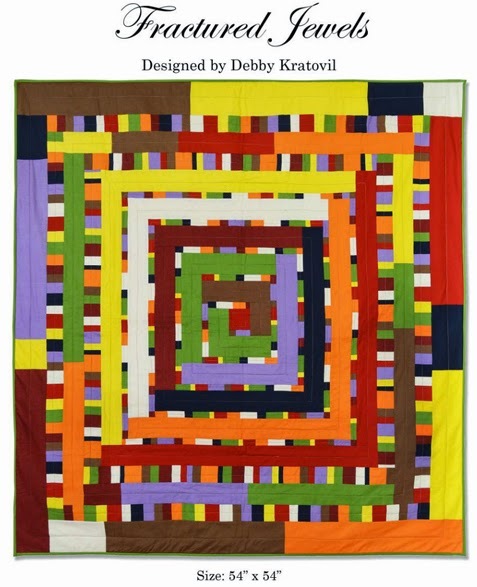 Mary sells a CD of these quilts at her web site. But you've got to see them in person! 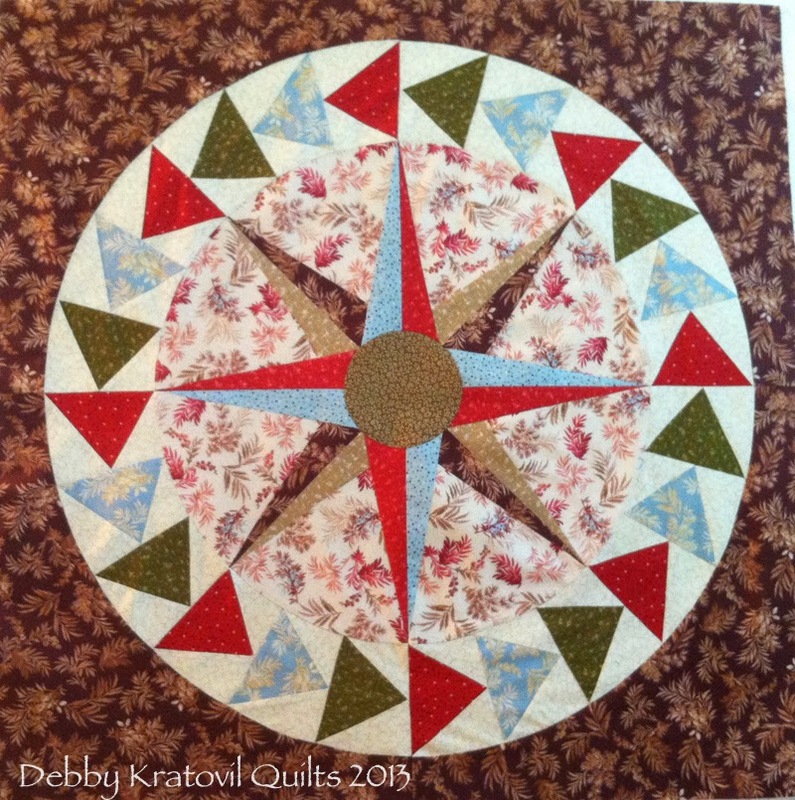 Mariner's Compass drafted on a 20" coffee filter!! Yes, you read that right! 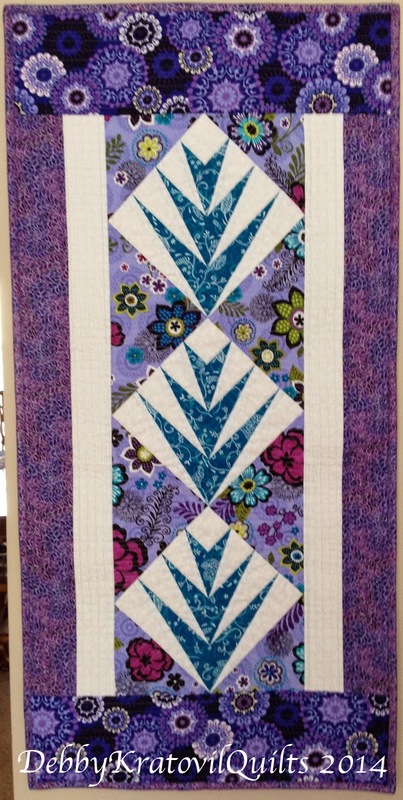 Add a paper pieced halo of Flying Geese and then the super-sized background for an awesome 32" block. And a Mariner's Compass in modern colors . 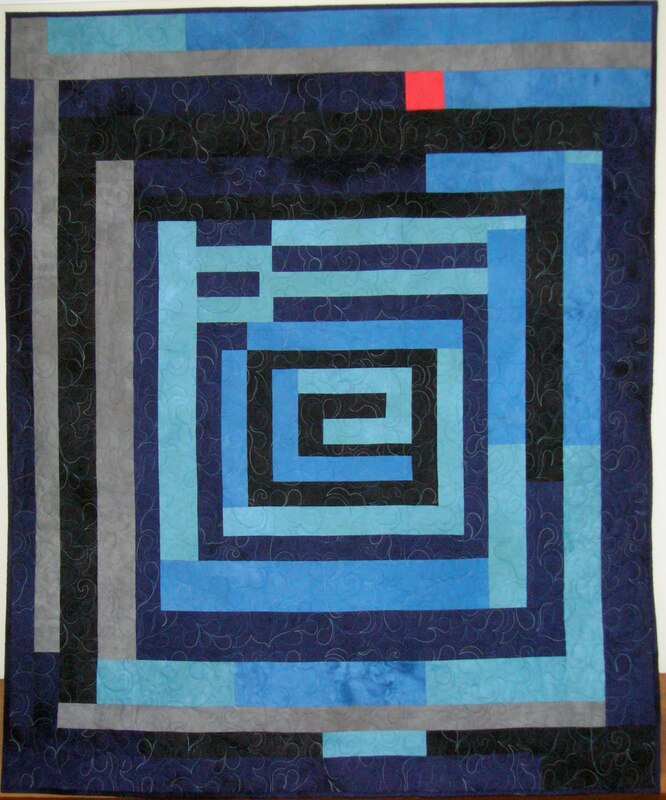 . .
Free Motion Quilting (class is sold out, unfortunately). Learn all sorts of fun techniques! 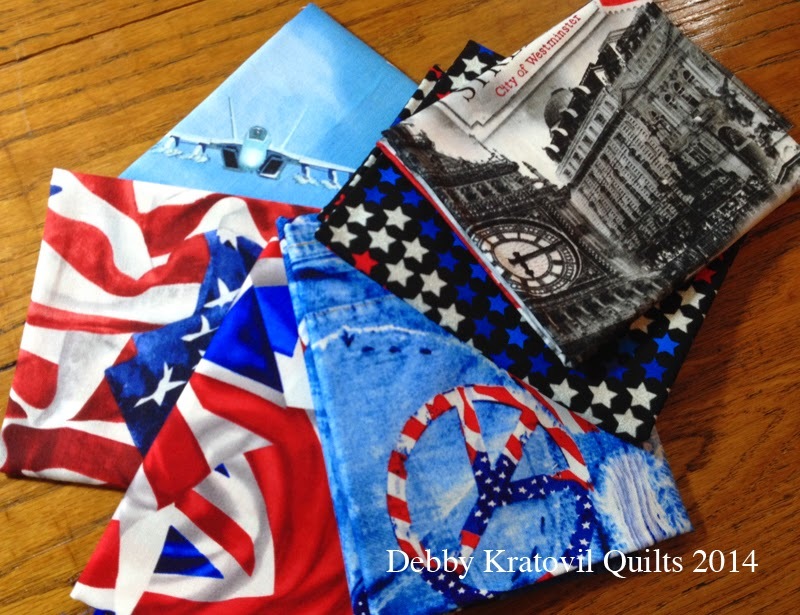 Join me for 3 days of quilting fun and education. Did I say fun? "Mom. I just want to sew all day . . ."
Well, what can I say? That's how I feel. 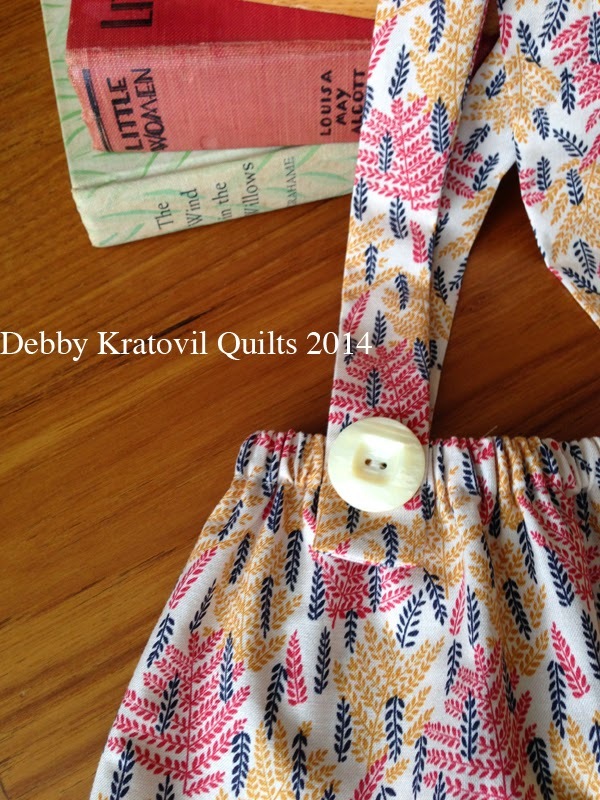 Can't always do it most days, but I WANT TO (sew: that is)! Never thought my oldest daughter (I have three of them) would ever get bit by this bug, but when you buy her a sewing machine (10 years ago) and then she has a baby girl - well, that's the combo-platter, as they say. She raids my fabric stash. Then cruises all over Kingdom Come on the internet and finds an idea. Calls mom on FACETIME - can you believe it? Asks me to pan the camera over my stash so she can select fabrics (I'm not making this up!) Made quite a pile to mail to her (she only lives 50 miles away) because she needed them RIGHT NOW. She cuts and stitches and ignores your SIMPLE directions for turning a skinny tube of fabric for those suspenders (she prefers to reference the blog she visited rather than your SIMPLE directions). But - hey! Look at the result . . Simple skirt with suspenders. Gotta love it! This fabric collection is one I have had for about 6 years. I love it! It's the Helena Collection from Windham Fabrics and I refused to part with it. She fell in love with it and took several pieces with her. Then asked me to mail most of the rest of it, which I did today. To tell you the truth: I never would have imagined a little skirt for an 8 month baby using this fabric. 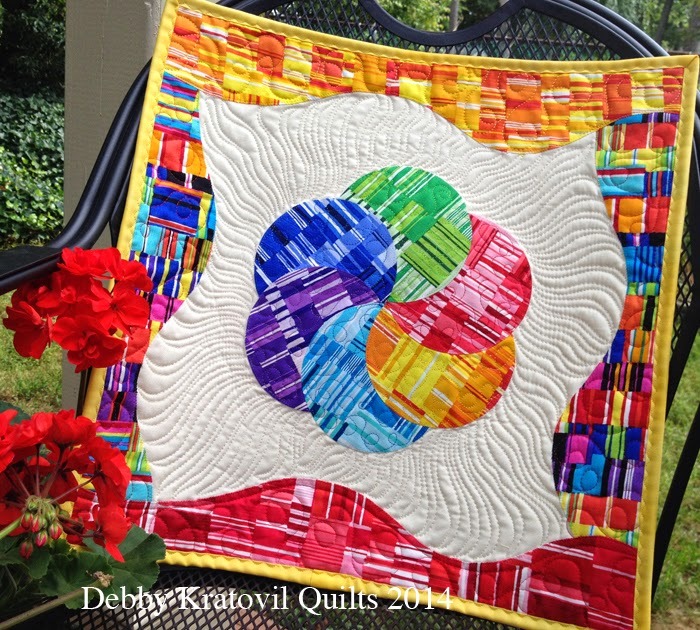 My motto: All Quilts. 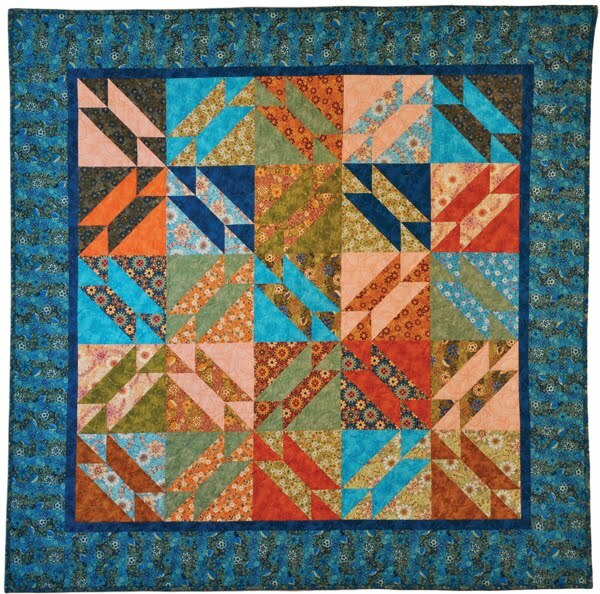 Only Quilts. All the Time! To a hammer everything is a nail. 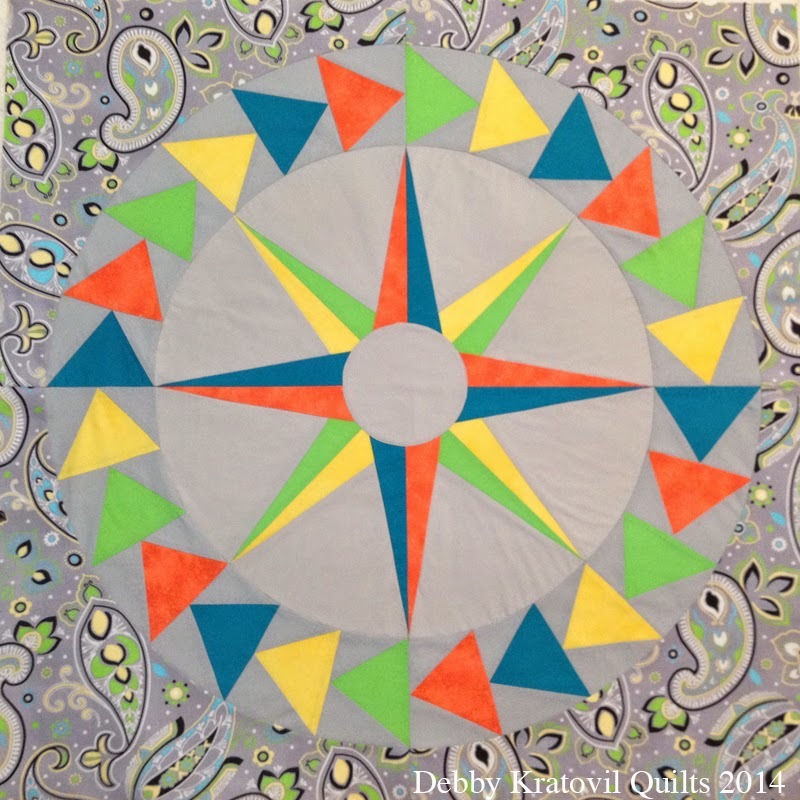 To a quilter every fabric is a quilt. I have been sewing since I was in junior highschool (can you say 4-H dirndal skirts and aprons?) Then for a few decades I saw fabric as potential clothes, so she's right on target. She'll be quilting soon . 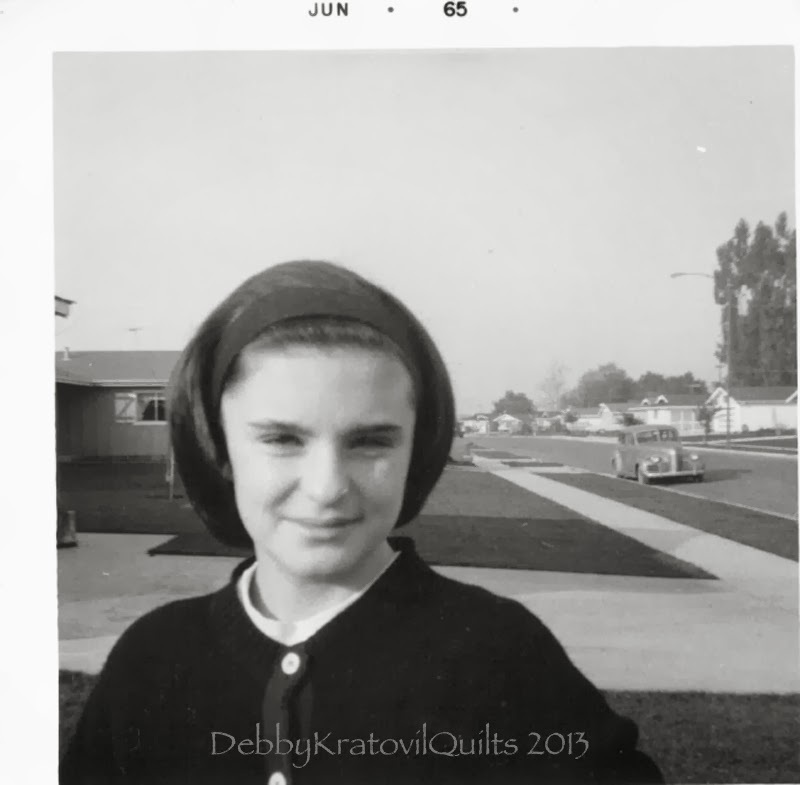 . .
Can we see a picture of you, Debby, when you were in junior high? Yes, the date is on the picture. Scary, huh? OK. Enough. I think I'll go find a picture of her when she was in junior high! Thanks to all of you who came and visited in my week long Star Spangled Banner Extravaganza. I just want to let you know that I DO have 7 winners (actually, 9) and they've all been contacted and they are very excited to get the fabrics and other goodies. Well, who are they? (No last names, of course). I am bundling everything for the post office this week. If you missed any of the days, click the links below. 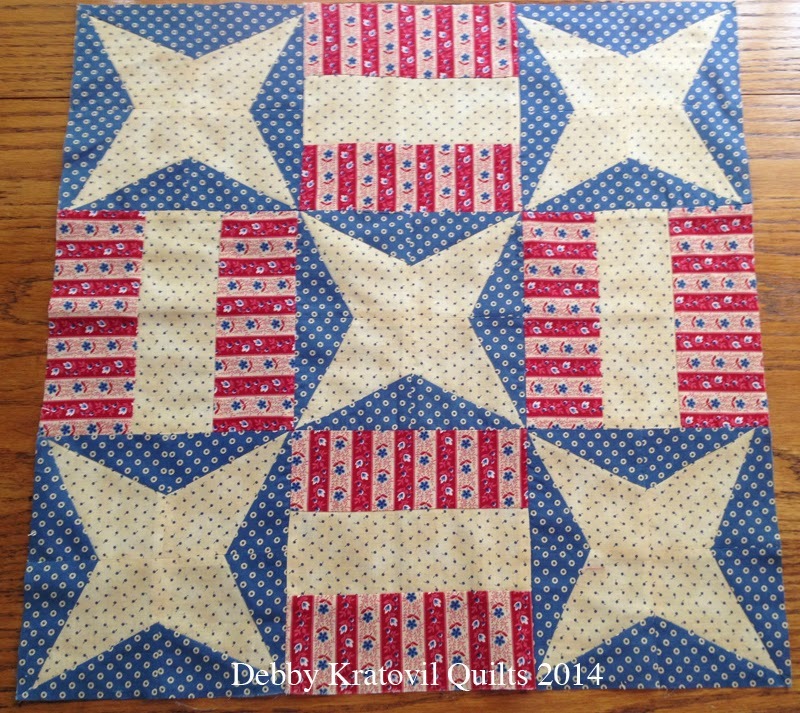 There was a lot of American history and pictures and neat quilts to fill the pages. And the comments were fabulous! Day 5 fabrics courtesy of Benartex; calendar courtesy of ME! 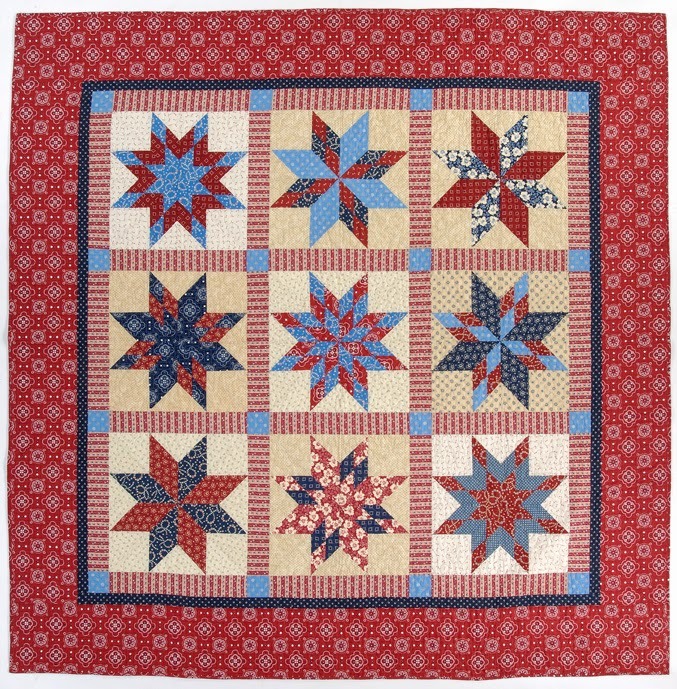 Thanks to all of you for sharing your own stories about the singing of the Star Spangled Banner, your own quilt history and those who inspired you and yes - whether you knit or crochet! 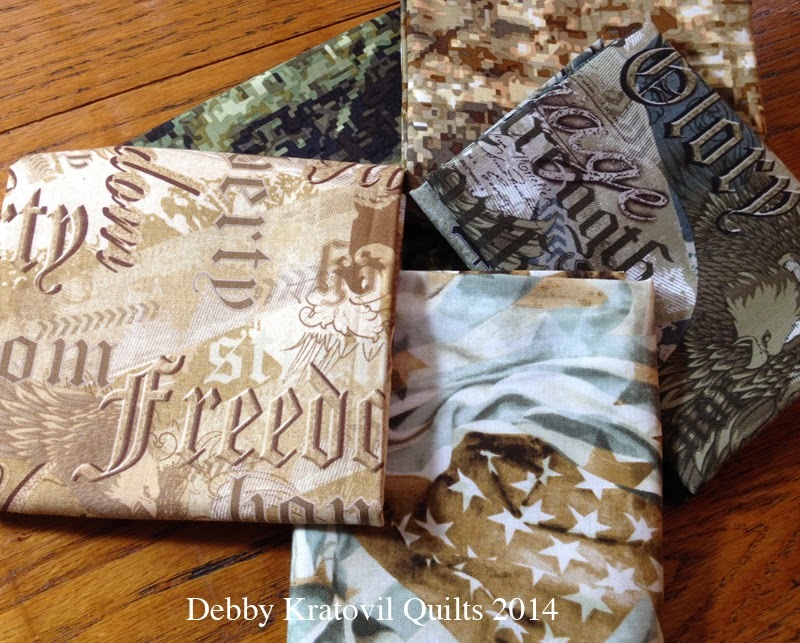 Many thanks to Benartex and Windham fabrics for sending me such wonderful collections so I could share them with you. 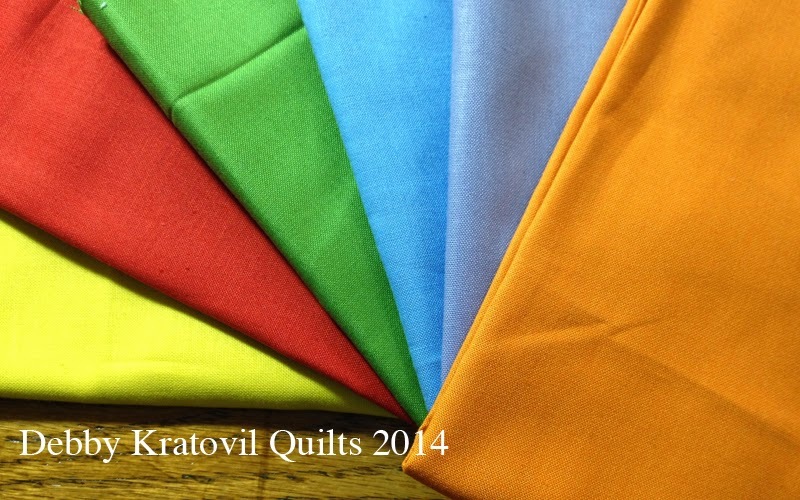 I've got some great things coming up with their fabrics, so stay tuned! 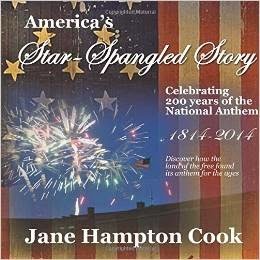 LAST DAY OF MY STAR SPANGLED BANNER EXTRAVAGANZA! 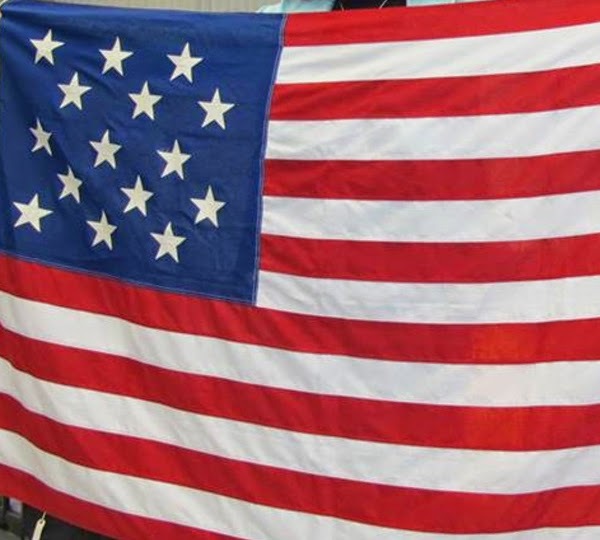 Tomorrow is the 200th anniversary of the Star Spangled Banner and I hope you'll be able to catch some of the celebrations via the internet or television. 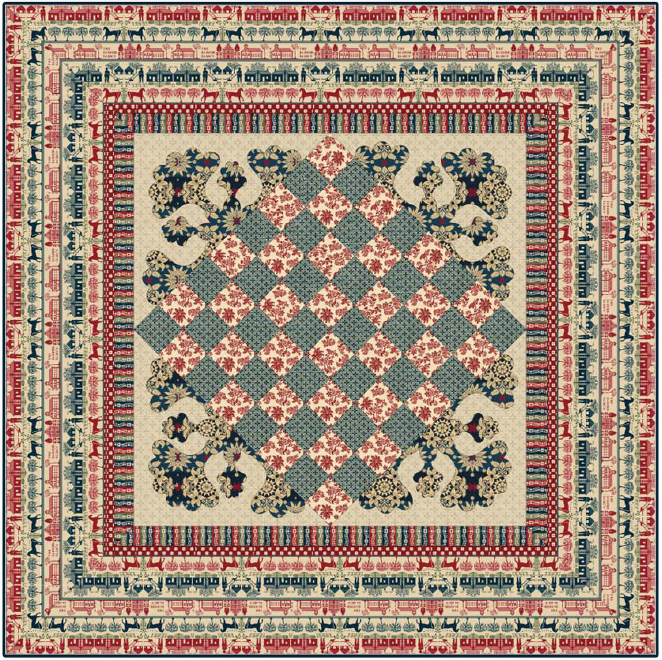 Constitution Oak by Debby Kratovil - 64" x 64"
Constitution Oak is another quilt I designed for Windham Fabrics. 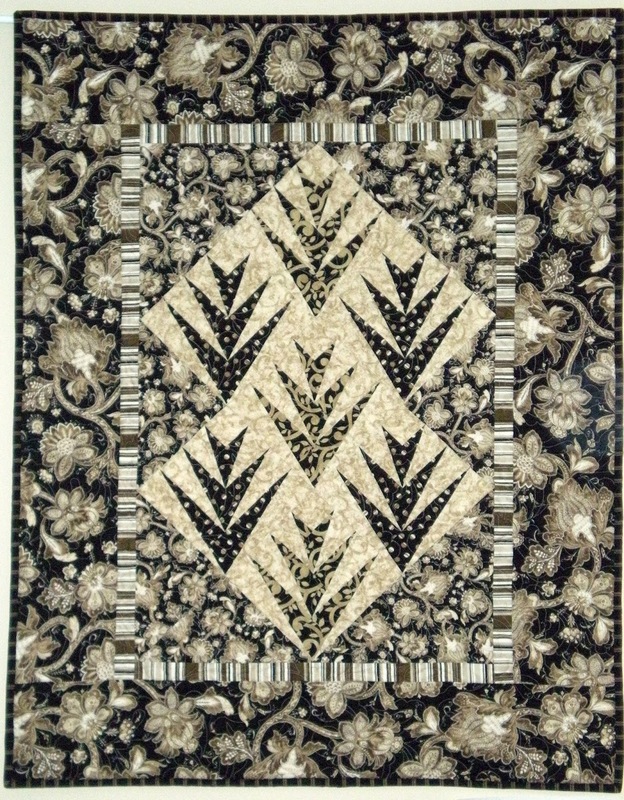 It uses reproduction coverlet fabrics which are some of my absolute favorite fabrics because of the motifs. You can easily make this in any colorway. 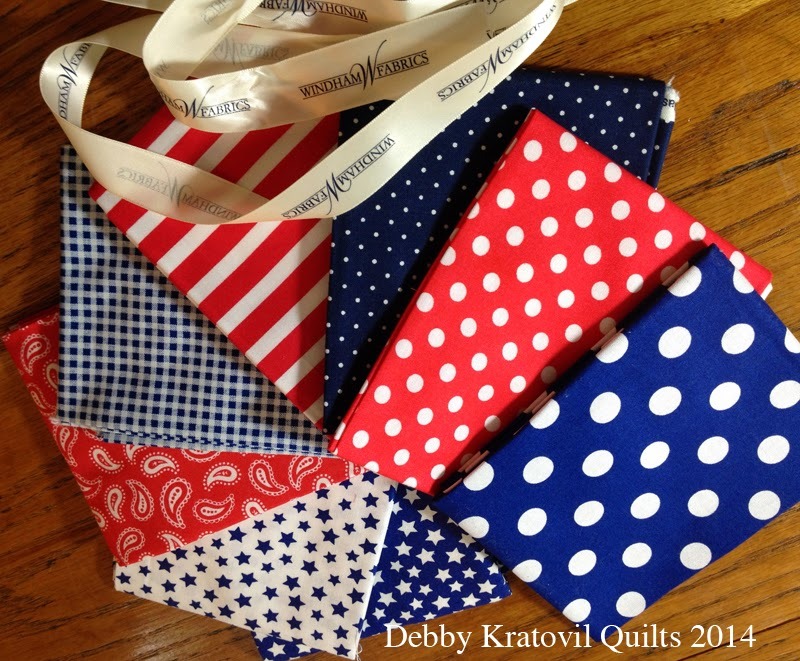 This is our FREE PATTERN during my Star Spangled Banner Extravaganza this week. Liberty Dance by Maria Tavy Umhey - 50" x 50"
1. The contest is over at midnight tonight, September 13, 2014 (EST). No more contests. I'm out of fabric and out of town! 2. 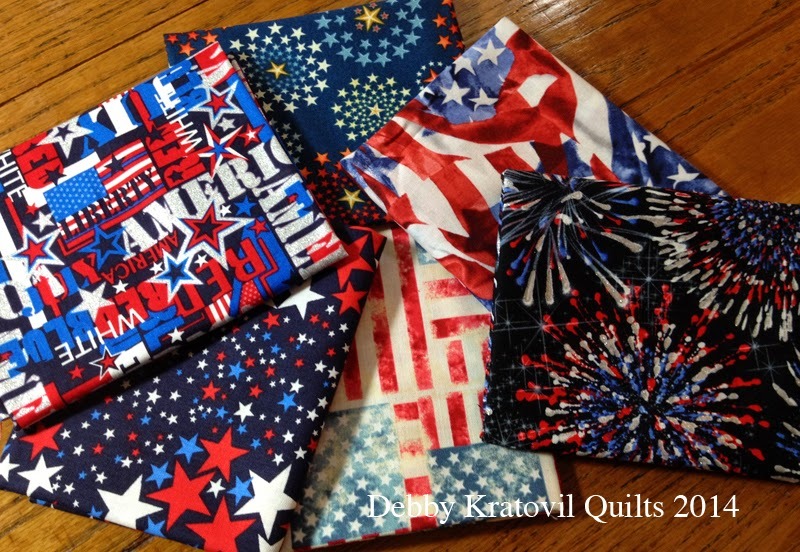 Fabrics can only be mailed in the United States. 3. 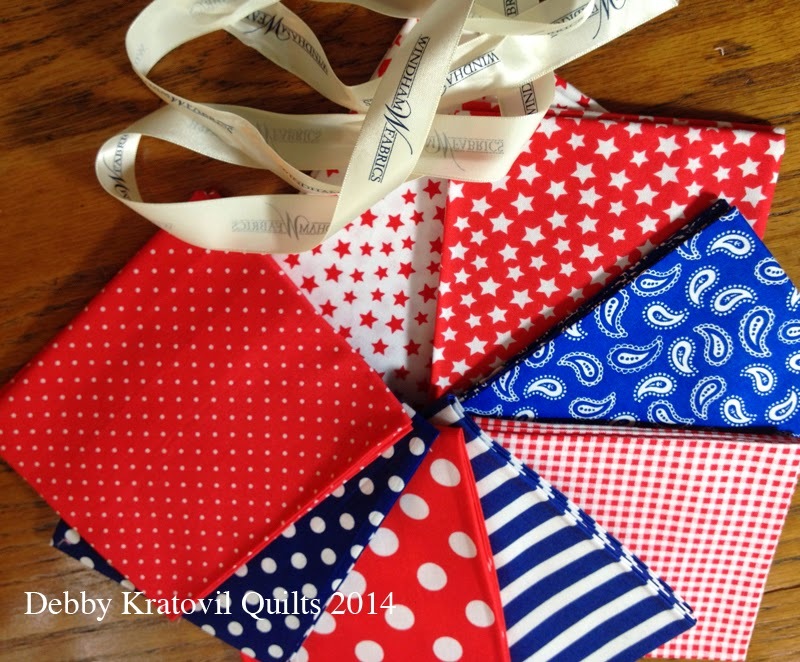 If I randomly select someone from outside the United States, you can have ANY of my patterns from my Craftsy site. I will email them to you (obviously, the ones that are for sale). 4. If I don't have your email, I can't notify you! Anonymous bloggers can't win! Do you like working with reproduction fabrics, and if so, from what historic era? THANK YOU for joining me for the entire week. 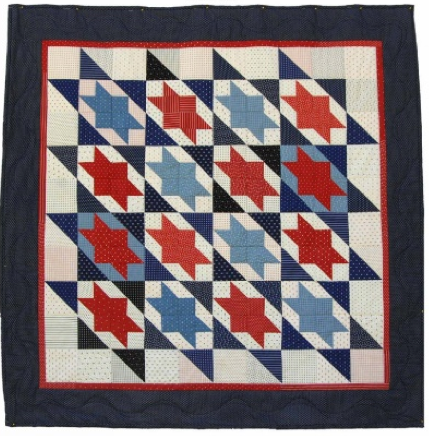 I hope that you've enjoyed seeing the quilts, hearing from Jane Hampton Cook, getting a glimpse of what Mimi Dietrich and the Maryland Historical Society did in making a replica flag, and all the other bits and pieces of history. I enjoyed giving away the fabric. 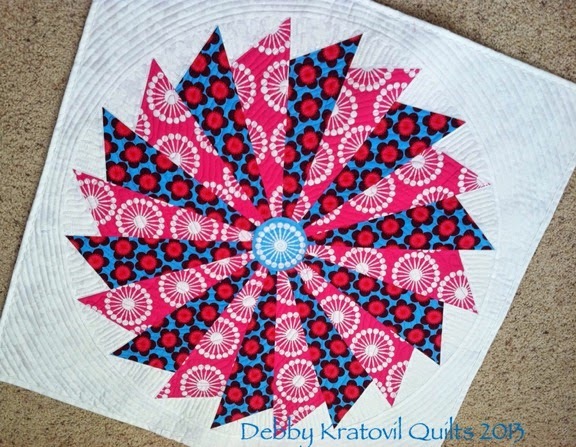 If you're not a follower, I hope you'll consider becoming one (via Bloglovin' or email) so you can get more free patterns, see more of my quilts (and those of other quilters) and join in on the occasional giveaways I have. Welcome to Day 6 of the Star Spangled Banner Extravaganza. 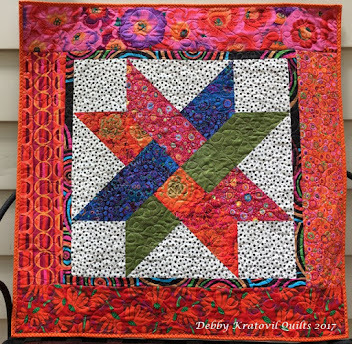 I came across a story on the Martingale blog that ANY quilter would enjoy. 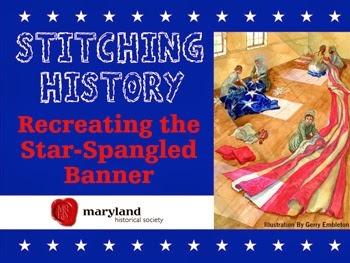 The famous Mimi Dietrich took part in the "Stitching History" project last year as part of the Maryland Historical Society. It is a FABULOUS read with a lot of pictures. Visit the STITCH THIS site to read about it. Well, can we see some pictures here first? Of course! Such a beautiful sight, huh? I love the red, white and blue! 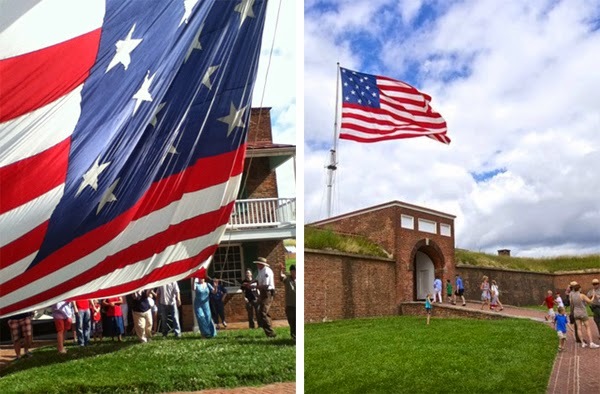 And, of course, they got to test it out at Ft. McHenry . 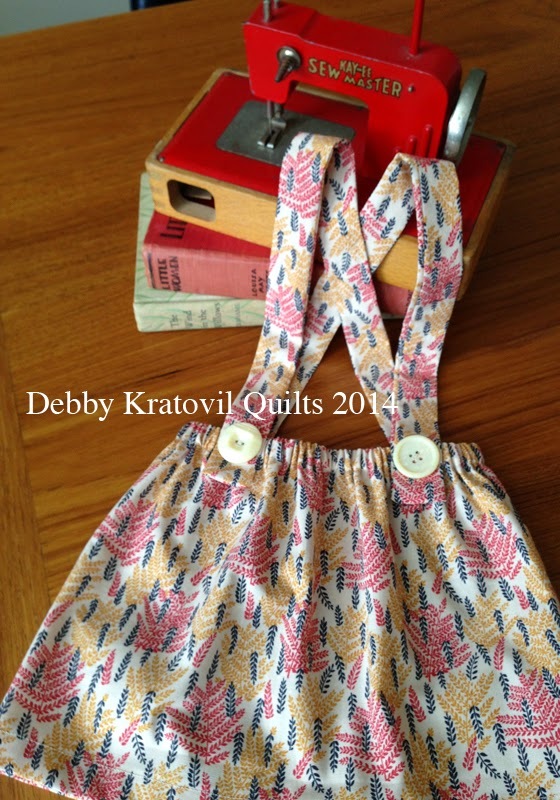 . .
How about a FREE pattern? 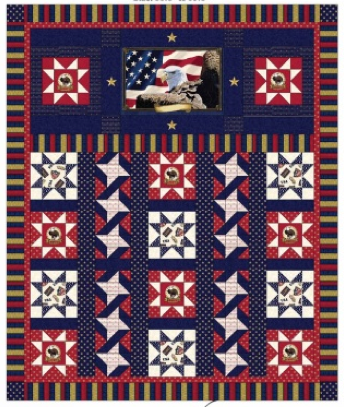 Stars of Valor by Betty New - 56" x 67"
And, we can't forget about the fabrics, right? These are from Benartex Fabrics and they have a British theme. See? We have kissed and made up with you Brits! After all, you gave us the Beatles. 1. The contest is over at midnight tonight, September 12, 2014 (EST). I have ONE MORE contest tomorrow, so come back and bring your friends. Have you ever participated in any historic re-enactment (other than grade school)? Or do you enjoy seeing special events that feature historic re-enactment. 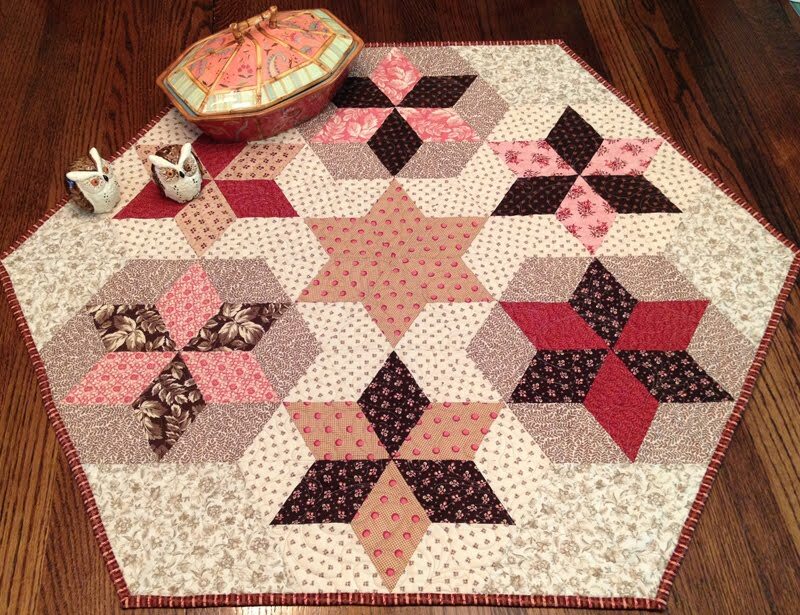 And come back tomorrow for more quilt inspiration, free pattern and of course, free fabric! 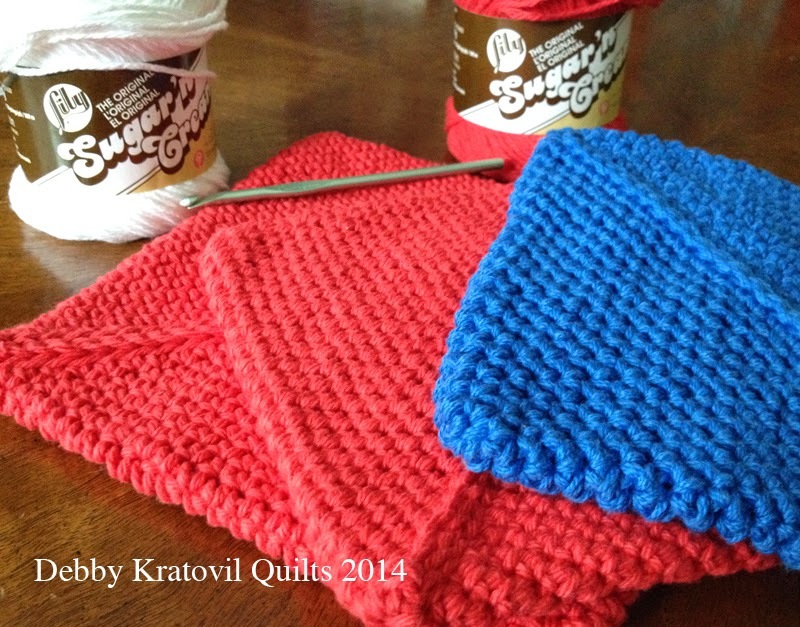 I even crochet in patriotic colors! Today is a somber day in America. It is the 13th anniversary of the fall of our Twin Towers in New York City. As we watched it unfold on our televisions all across the nation, we were so emotional. And then as the days went by, flags began to appear EVERYWHERE I looked: in the front of many houses on my street in Atlanta, in the front of stores, gas stations. Everywhere! Would you like to see all the blocks? How about WINNING a copy of the companion CD? 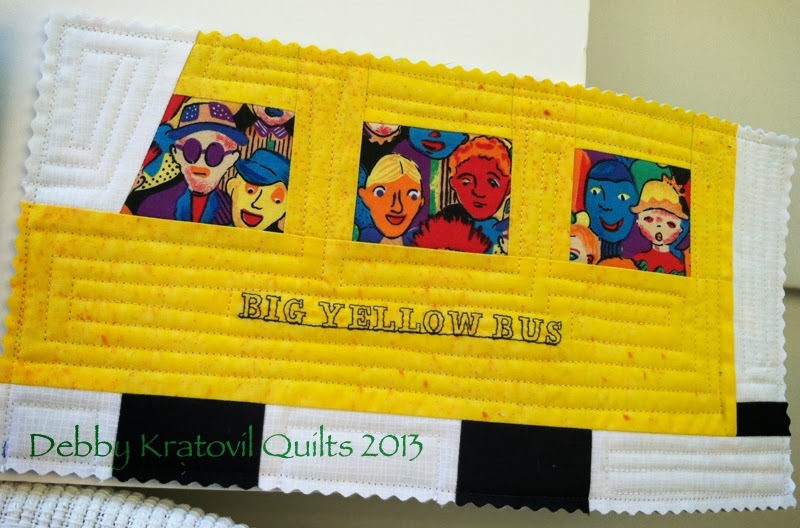 It has all 366 blocks in two sizes PLUS 12 quilts made from the blocks. And then there's the FABRIC giveaway, right? How about 5 half-yard cuts of these from Benartex? 1. The contest is over at midnight tonight, September 11, 2014 (EST). (I have another contest tomorrow, so come back and bring your friends). 2. 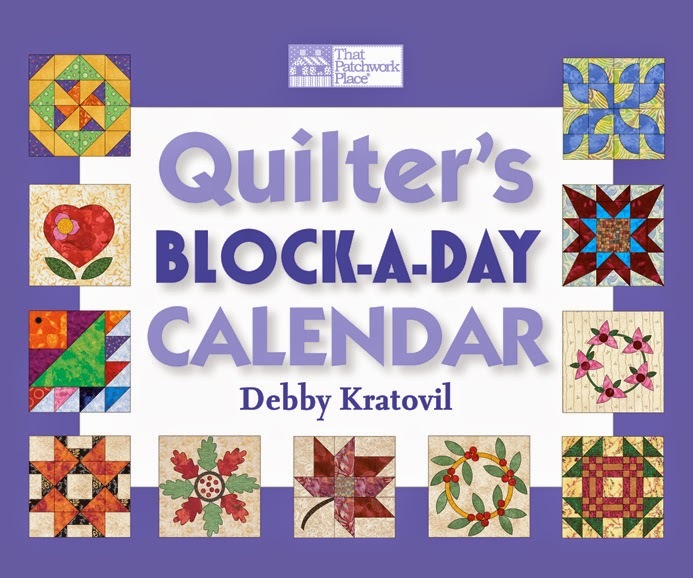 Fabrics and Calendar CD can only be mailed in the United States. OK. This is different: do you knit or crochet? What colors and types of yarn do you like to work with. 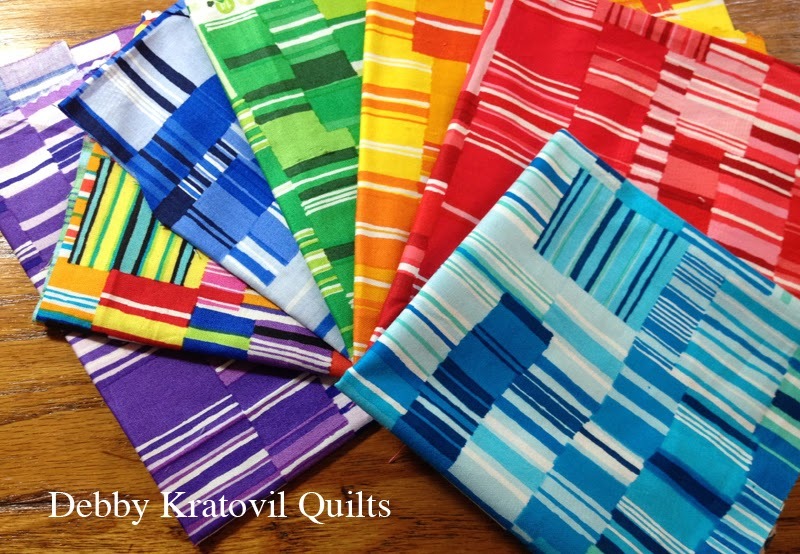 And come back tomorrow for more quilt inspiration, free patterns and of course, free fabric!